Started in 1926 A.D., SAT is a paper-based standardized test required for admission into universities and colleges of the United States of America. 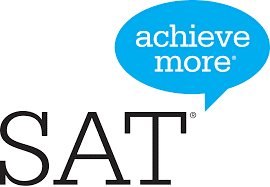 The SAT marks is mainly valued for scholarships that are provided in the United States. This program or test is owned by the College Board and administered by The Educational Testing Service on behalf of the College Board. The test is to be given in English language and the test is conducted all over the world seven times a year. There were over 1.69 million students planning to study for the graduate level who took the SAT test in 2015. The SAT scores range from 200 to 800 for one section as there are three sections of SAT test: Math, Writing and Critical Reading. So the total score of SAT is 2,400 and whoever manages to attain 2,400, the “perfect” SAT score, has a chance of receiving a high scholarship. Students do not require to get all the answers correct to attain a perfect score. The SAT test is usually conducted on the first Saturday of November, December, May and June and it is also conducted in October, January and March or April. The duration of the SAT test is 3 to 4 hours. The test fee is US$52.5 in America, but it may reach up to US$101.5 depending on the country. However, if applicants are late, additional late-fee charges have to be paid. A 25 minute section containing 20 MCQs, another 25 minute section containing 18 questions ( 8 MCQs and 10 grid-in-problems) and another 20 minute section with 16 MCQs. A 25 minute section consisting of 24 questions (8 sentence completing questions, 4 short critical reading questions from passage and 12 critical reading questions from a given passage), another 25 minute section with 24 questions (15 critical reading questions from two separate passages, 5 sentence completions and 4 short critical reading questions from passage) and another 20 minute section consisting 19 questions (6 sentence completions and 13 Critical Reading questions from two interconnected passages. A couple of pencils, an acknowledged calculator, a picture ID or a passport must be in your possessions. A bottle of water and light snacks for section breaks will surely come in handy. We at EDU will endeavor into making students ready to take the SAT exams will full confidence and will try to guide them thoroughly and enhance their skills.